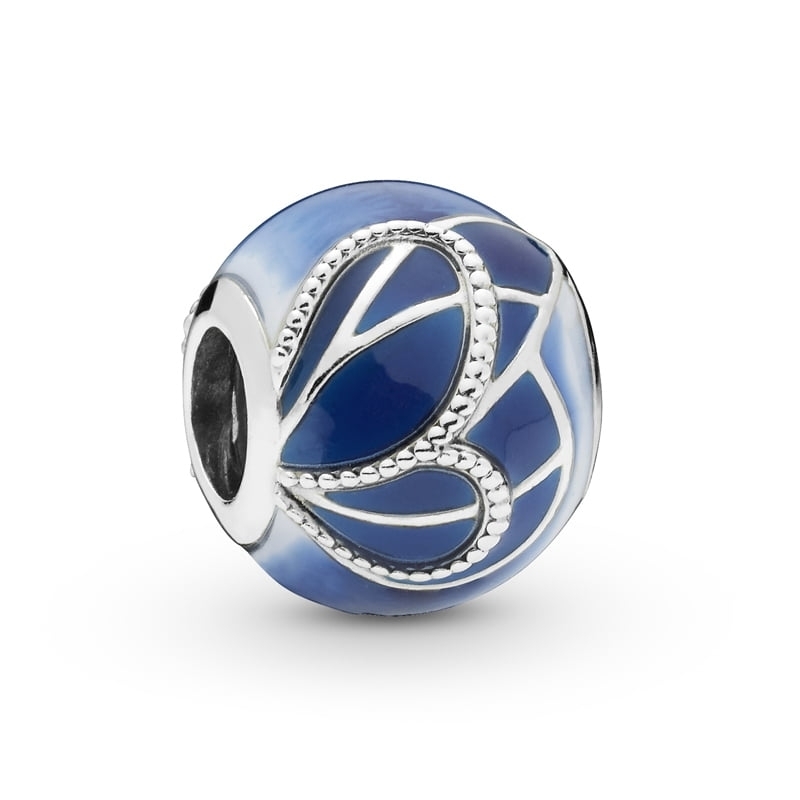 PANDORA Blue Butterfly Wing Charm. A striking silhouette, made from sterling silver this gorgeous charm represents a butterfly's wings. With shades of deep turquoise, navy, transparent and white enamel, it will add a beautiful pop of colour to your bracelet styling.